The bridge is nearly 1000 meters long and consists of a concrete slab supported by nine steel continuous girders supported on 54 columns. 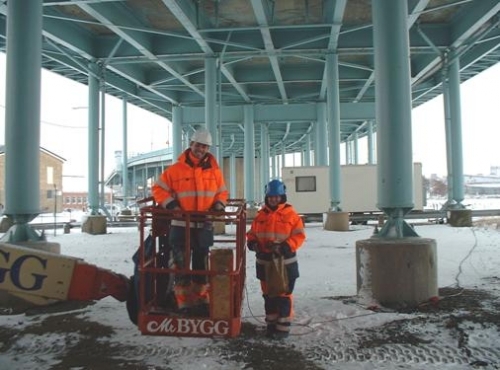 During the last maintenance work, a number of cracks were found in the steel girders, most notably in zones above the columns where the important negative bending movements are present. Two issues caused the steel cracking: deterioration and the mediocre quality of the steel. The bridge authorities decided to keep the bridge in service for the next fifteen years, but in order to increase the safety and reduce uncertainties related to the bridge performance an integrity monitoring system was installed. The aims of the monitoring system was to detect and localize new cracks that may occur due to stress and to detect unusual structural behaviors. The warning messages are automatically sent to responsible engineers via e-mail and SMS. The main obstacle when selecting the monitoring system was the total length of the girders: more than 9 km for all nine girders. 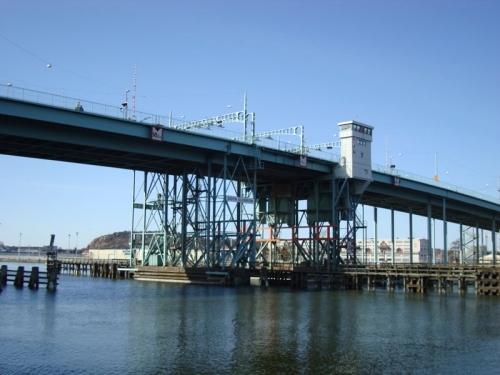 It was therefore decided to monitor the five most loaded girders (total length of approximately 5 km) so a fiber optic distributed sensing system was selected and for the first time, a distributed fiber optic sensing system was employed on a large scale to monitor a bridge’s integrity.